Release Day! 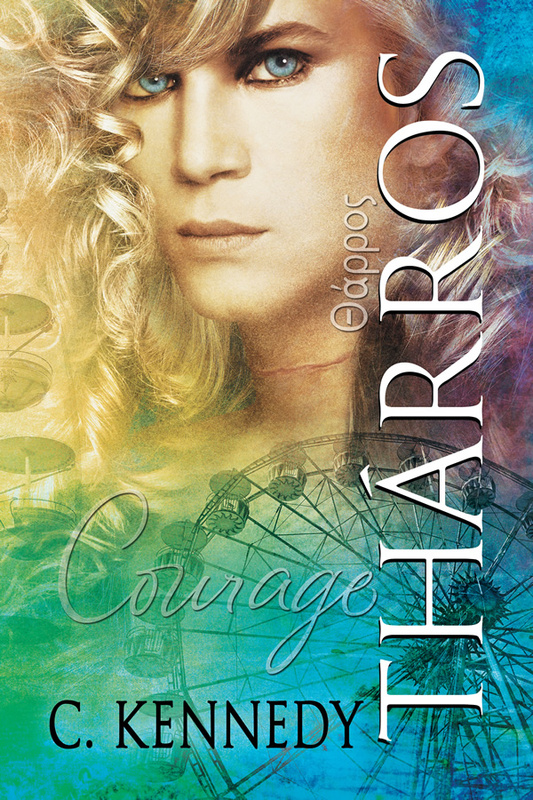 Thárros by C. Kennedy is Out! they kidnapped his boyfriend. Yet, Michael is determined to make the USATF tryouts in spite of his injuries. Christy Castle is Michael’s entire world. Healing from years of abuse, his abduction by a predator has left him hiding a new secret as he tries to start his life again. Together, Michael and Christy work to recover from their wounds in time to make prom and graduate high school. To complicate matters, Christy is astonished to learn a fellow victim from his native Greece has survived. Christy will stop at nothing to bring him to the US to keep him safe. But the prosecution of Christy’s kidnapper looms large in their futures and the struggle to return to normal only worsens. Christy’s past continues to haunt them and, when the prosecution turns ugly and Christy’s new life is torn apart, only their unrelenting courage and determination can save them from the nightmare that threatens to destroy their future together. Noble, Kobo, and Omni Lit/All Romance eBooks! runner up in the 2014 Rainbow Awards, and Slaying Isidore’s Dragons was a finalist in the 2015 Rainbow Awards. Cody does respond to blog comments and emails because, after all, it is all about you, the reader.